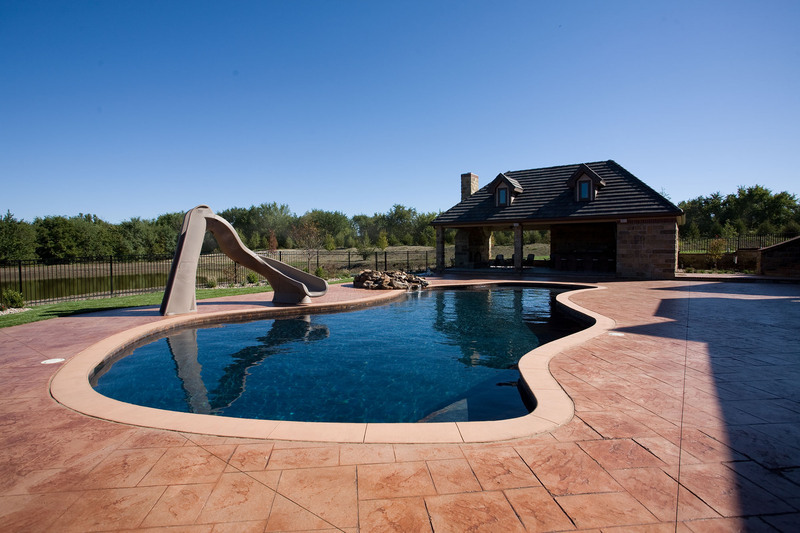 Colored concrete decking is one of the biggest trends in outdoor pool design. It creates a beautiful, inviting area that goes above and beyond providing a safe, slip-resistant deck for sunbathing and barbecuing. White and light beige tones are popular choices as they evoke the look of a sandy beach and reflects harsh sunlight, keeping the deck cooler. The interior finish of your pool can lend heavily to its style and charm. 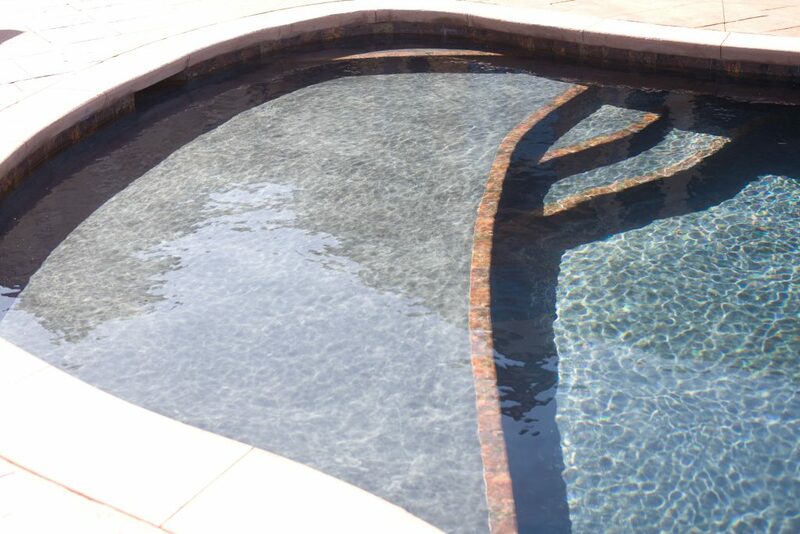 Choosing a midnight blue plaster adds an exciting and dynamic play between sunlight, shade and water. The deeper the water, the deeper the gorgeous color appears. 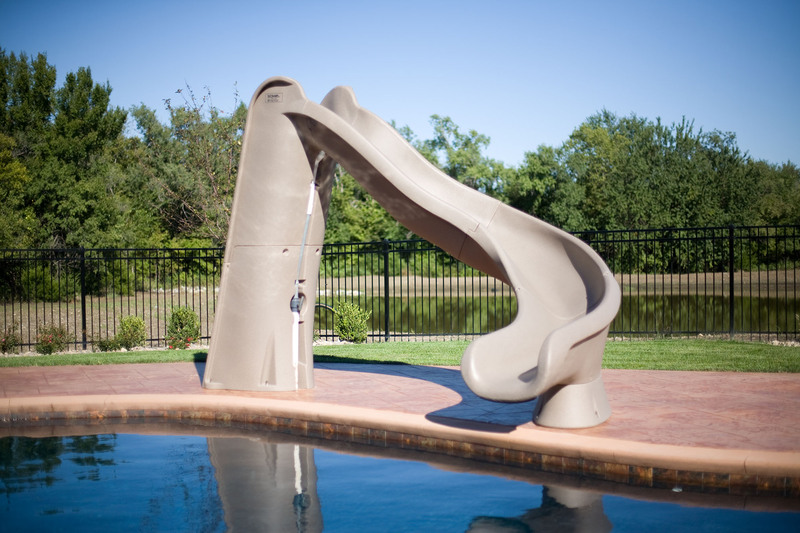 Adding a curved slide to your pool ensures a heightened level of fun for all ages. Kids and grandkids will flock to your backyard to take part in the exciting – yet extremely safe – ride of the summer. 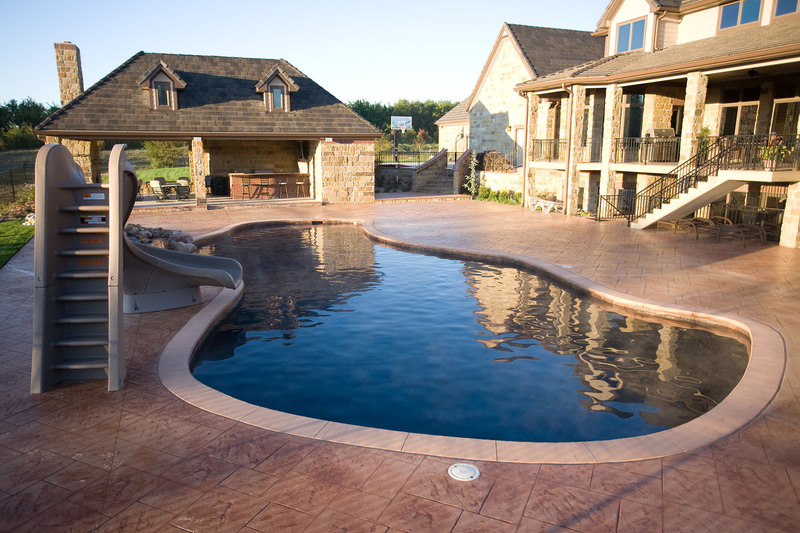 Stamped colored concrete decking is one of the biggest trends in outdoor pool design. Create a beautiful, inviting deck or patio area that is slip-resistant and beautiful, evoking a natural beach look and plenty of space for friends and family. 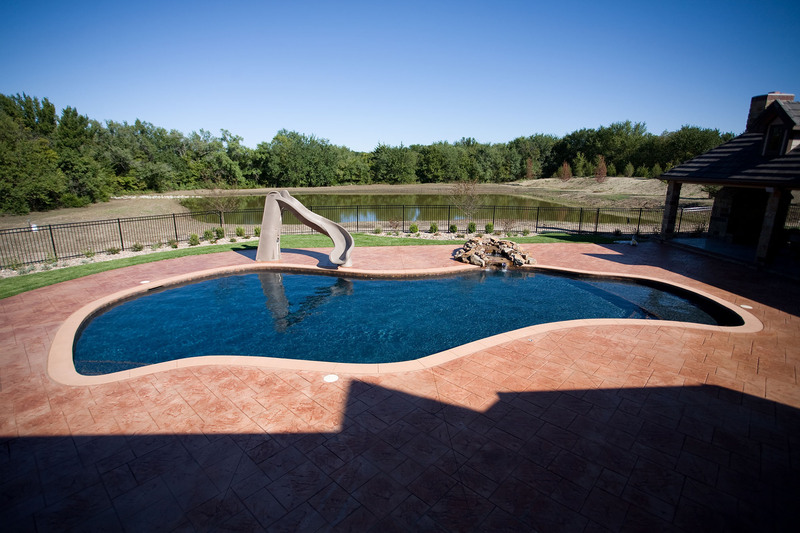 A pool house is the ultimate in outdoor luxury. 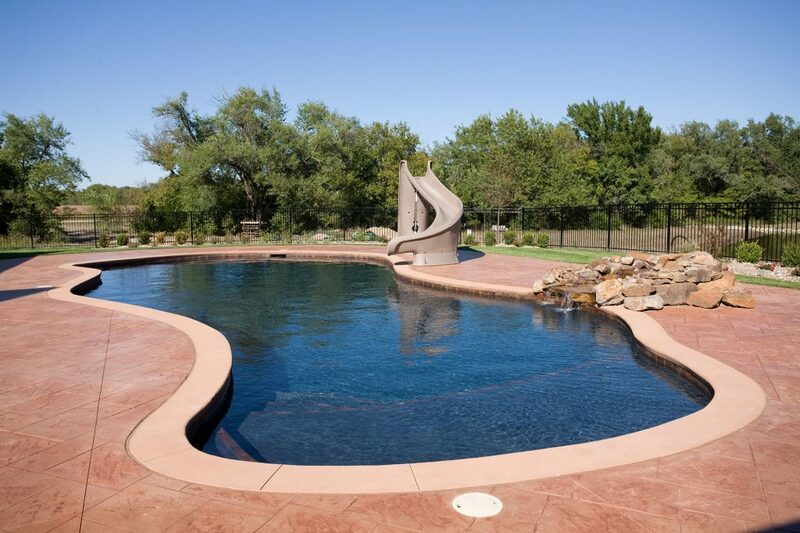 Host memorable gatherings or family barbecues in the shade this beautiful, natural-stone covered structure. No need to trek back and forth from the house for food and beverages when you have your very own outdoor kitchen next to your gorgeous pool. Plenty of dining area ensures the party can go on for hours.